Our words can build bridges for people, to walk from the darkness into the light, and discover just how valuable they truly are. 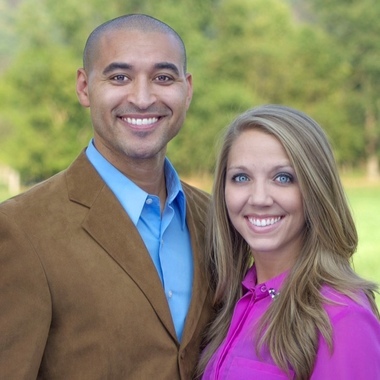 Jeremy and Jaala were both born and raised in rural Kentucky. They currently reside in Somerset, Kentucky, but thoroughly enjoy traveling. After several years of teaching (Jeremy - Social Studies) and coaching (Jeremy - basketball and volleyball; Jaala - cheerleading and gymnastics), their paths crossed in the summer of 2014 while building their network marketing businesses. They became one as husband and wife in the fall of 2015 and have continued their entrepreneurial endeavors together, while passionately loving God and serving people. Jeremy is charismatic in his approach to encouraging people of all ages to dream, in developing leadership, and in helping restore manhood. Jaala is heartfelt in her mission to show women and children how valuable they are while working to rescue and restore afflicted souls from the darkness of human trafficking. Ultimately, their goals are to lead by example, use their marriage as a ministry, work diligently for the causes that have been placed on their hearts, and for others to see less of them and more of Jesus. Jeremy holds a Bachelor of Science degree (Social Studies) from Campbellsville University (2007). ​Jaala holds a Bachelor of Science degree (Social Work) from Eastern Kentucky University (2013) and a Master of Social Work degree from Campbellsville University (2017). Collectively, they have over two decades worth of experience in teaching, coaching, and home-based business. They have also received extensive leadership training from world renowned experts such as John C. Maxwell, Les Brown, Kenneth Brailsford, Darren Hardy, Paul Zane Pilzer, Dan Clark, Clifton Lambreth, and many more. To help people see their value, recognize their potential, and live out their existence.